November 2 – 8 – Craig and L'Or L.
We continue to send off missionaries and students to study other places, and it’s becoming harder and harder to say goodbye. 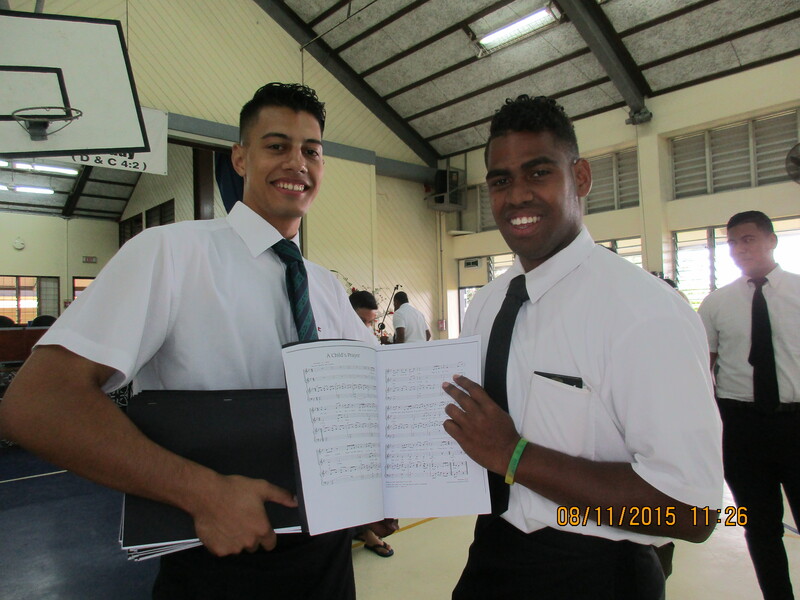 This week it was Suka Qaqa leaving for BYU-Hawaii, and Veiqaravi Tuinamoala to a mission in Papua New Guinea. Well, that’s if his passport ever comes! We said goodbye and he had an appointment to be set apart, but because his passport didn’t come in time, he was back in class the next day. Practice run! The men working to remove our damaged retaining wall provided an object lesson for our Mission Preparation class on Thursday. The message of the lesson was that finding people to teach requires effort. We told the story of Wilford Woodruff praying with real intent to know where to teach, acting on promptings, and experiencing great success in England. We talked about the rare instance of the walls of Jericho coming down in a miraculous way, but how usually, when we labor in the kingdom, we are required to work hard just like the men outside. We hope our work helps to tear down walls of misunderstanding and opens the way for others to accept the restored gospel. 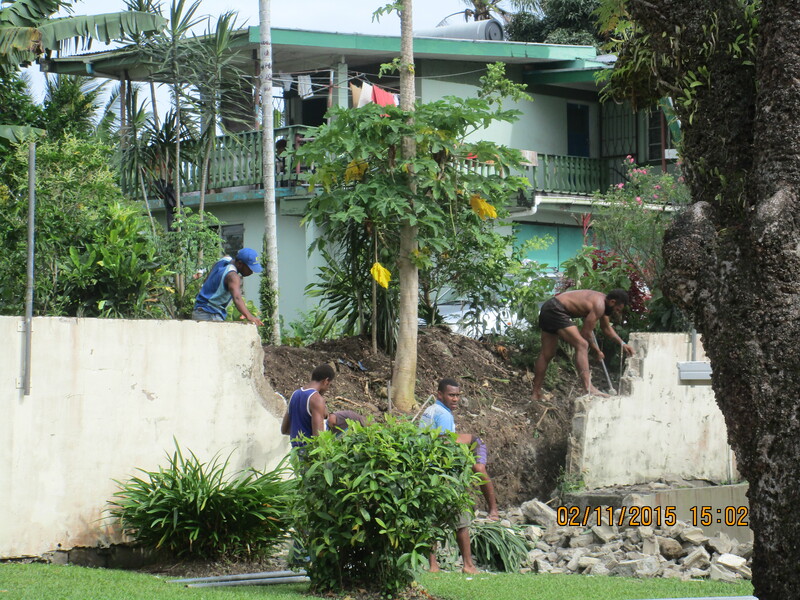 Thursday was a hot day, and the men outside really worked hard swinging their sledge hammers to remove the retaining wall one small piece at a time. Wish they had a bulldozer! 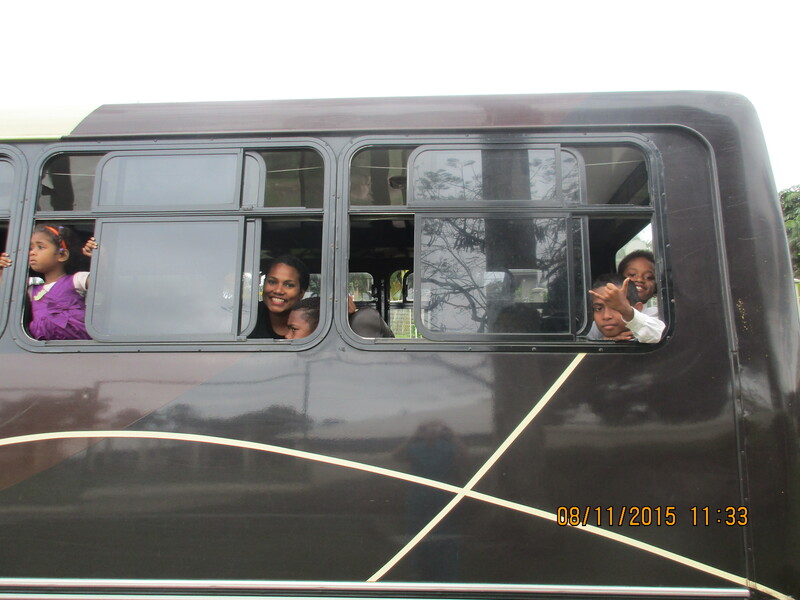 No one wants an emergency, but now Emilia, Missy, Oteca and their leaders are a little bit more prepared for one! 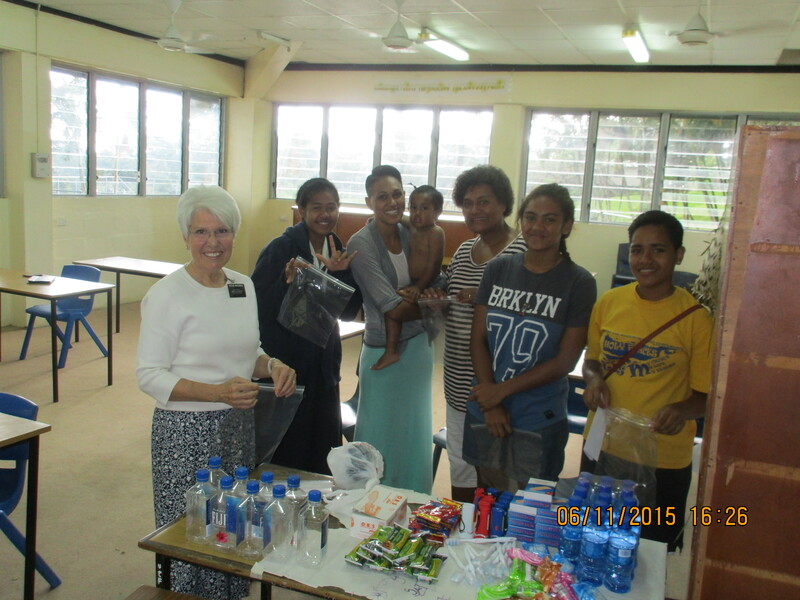 Friday we taught an emergency preparedness and self-defense class for the Young Women in our ward, and next week we’ll recap the lesson for those who weren’t able to attend. Not that we’re experts and had anything terrific to say, but we had fun doing it. We’ve heard that there will be more cyclones than usual this year because of the El Nino effect, so it’s probably a timely message. Now if we come home from our mission a little over weight, you’ll know why! 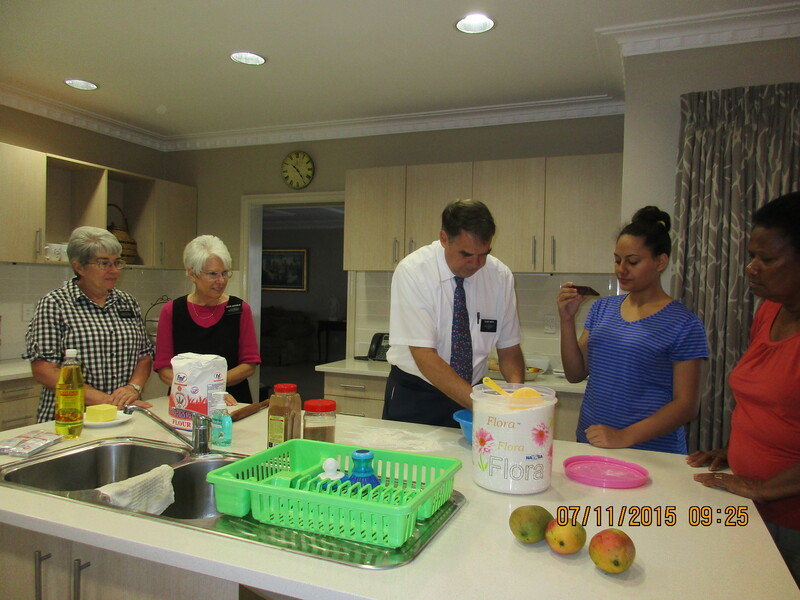 While Elder Whitehead helped some other men move furniture for new missionaries on Saturday, Elder Smith taught the ladies how to make a delicious Swedish bread at the mission home. Yum! 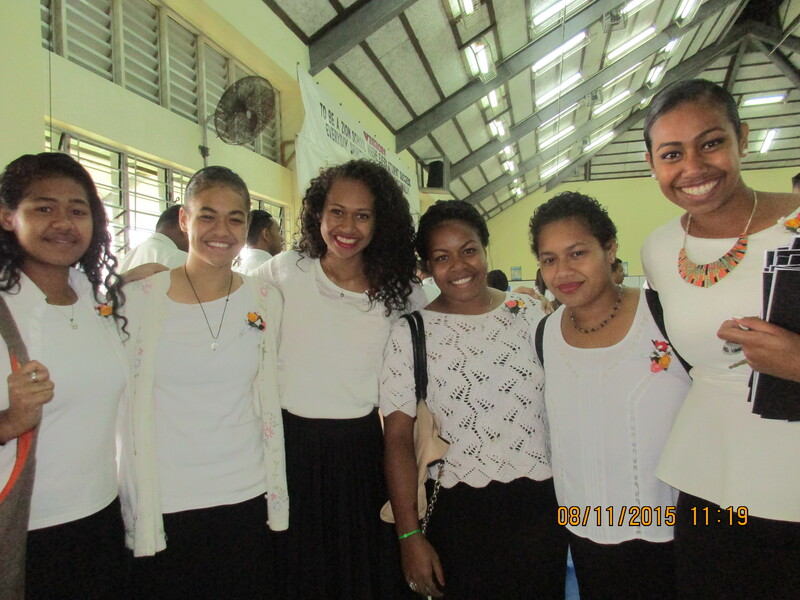 About sixty or so YSAs formed a choir to sing for our stake conference. We loved listening to them practice! 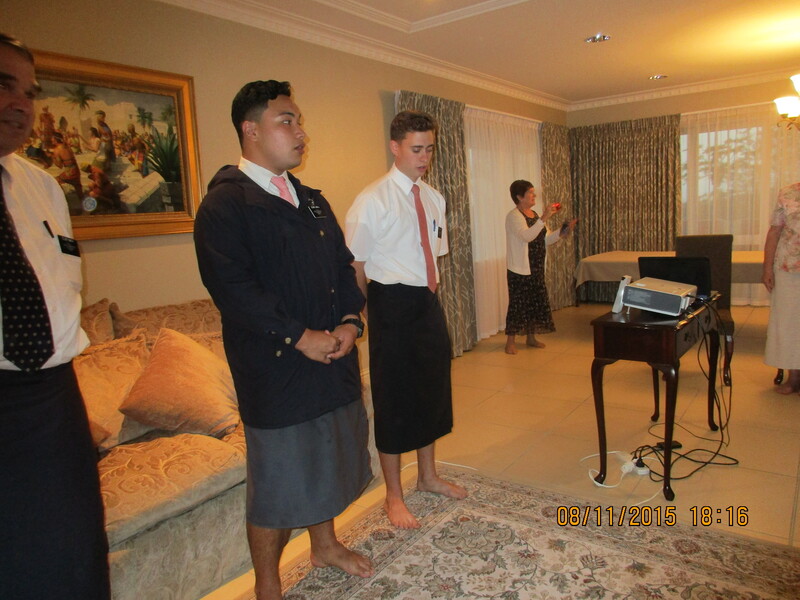 Friday night was “The Presenting,” where they presented (sang) their songs for the stake presidency. 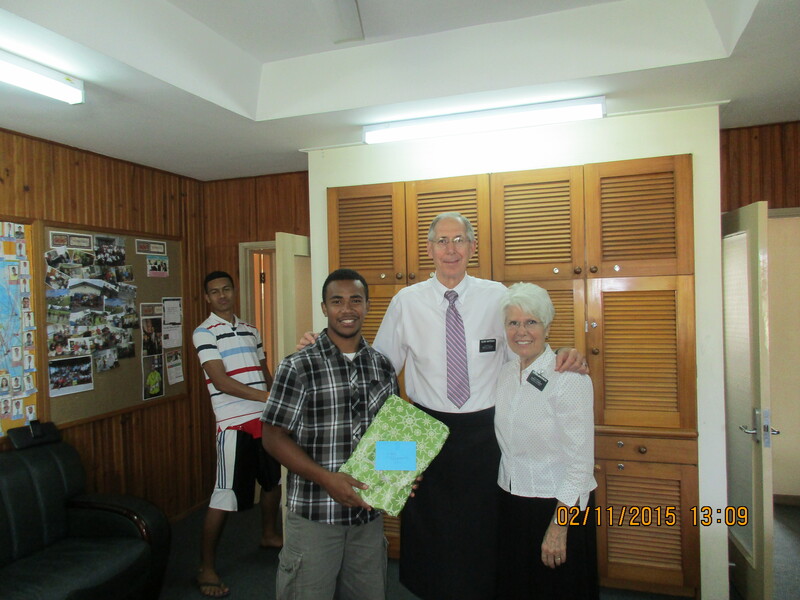 President Qaqa thanked them and encouraged them to be faithful. Then the stake presidency provided a delicious dinner — huge mounds of rice and chicken chow mein — followed by lots of fun playing volleyball until way after dark. Sunday morning they were given beautiful little corsages, and were recognized several times throughout the conference. Now that’s the way to show YSAs they are loved! 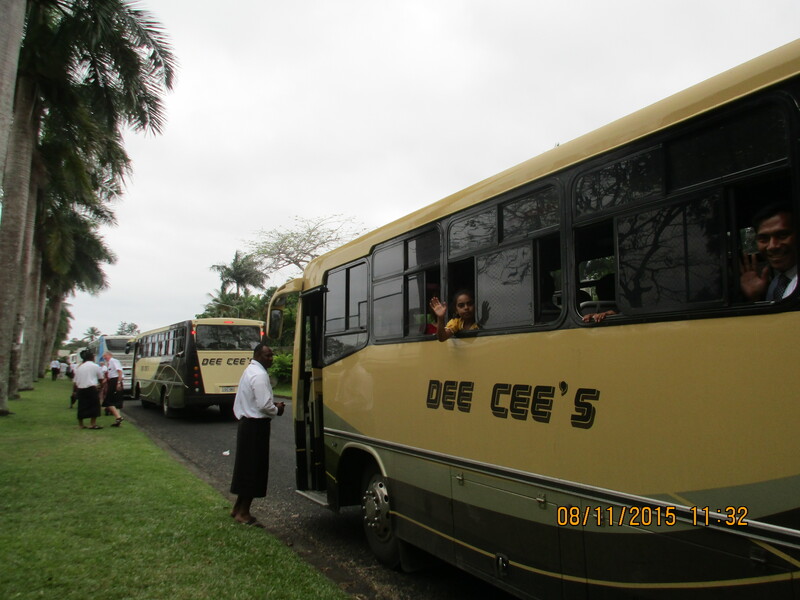 There were four or five buses rented by different wards to bring members to the stake conference. Sacrifice always brings forth the blessings, and this day no exception. 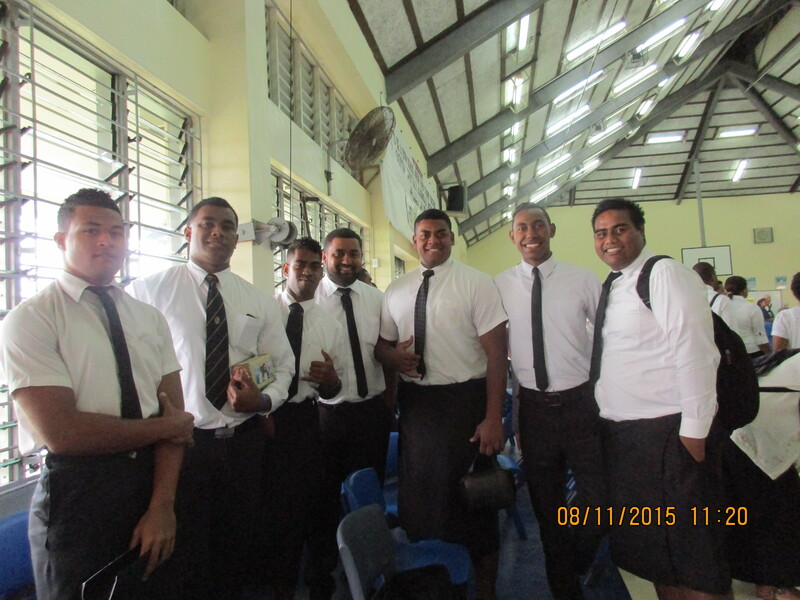 Our stake center is the LDS Primary school/Samabula chapel – but because of the numbers attending, the conference was held at the LDS College. 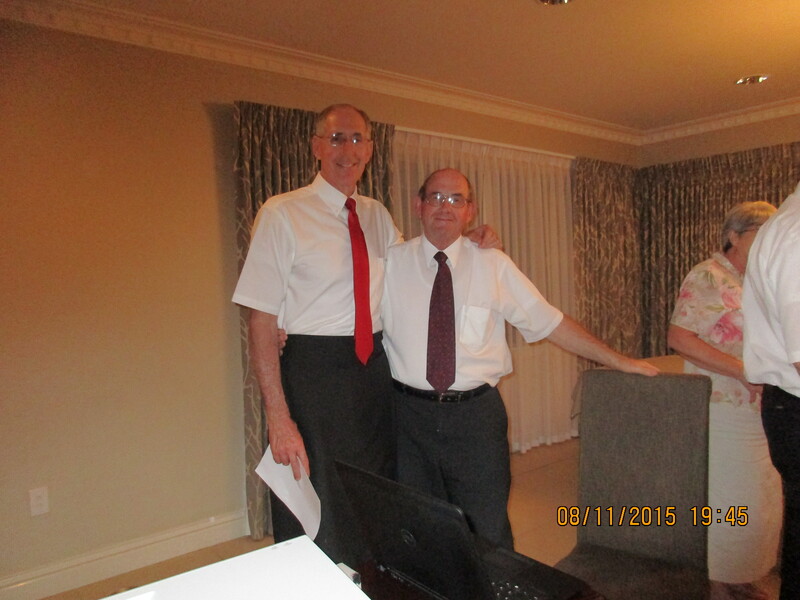 Sunday evening was our monthly FHE with the senior couples at the mission home.